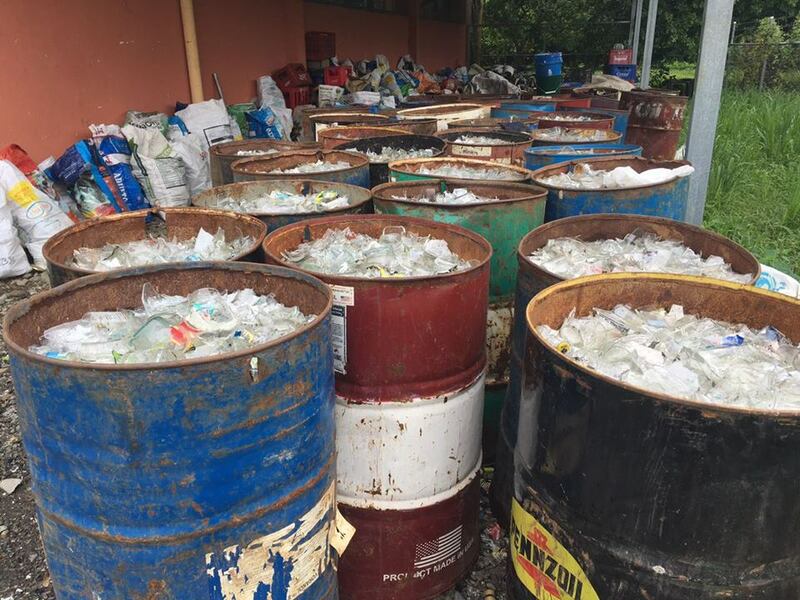 It has been a while since the cyber world has heard what Planet Conservation has been up to here in Costa Rica! 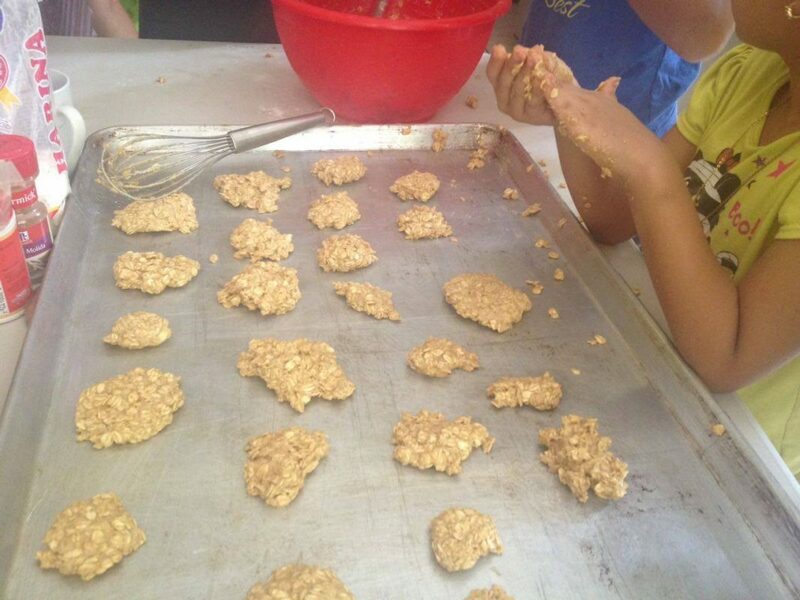 This past month has been a whirlwind of activities, events, and nonstop play at the Environmental Kid’s Club. 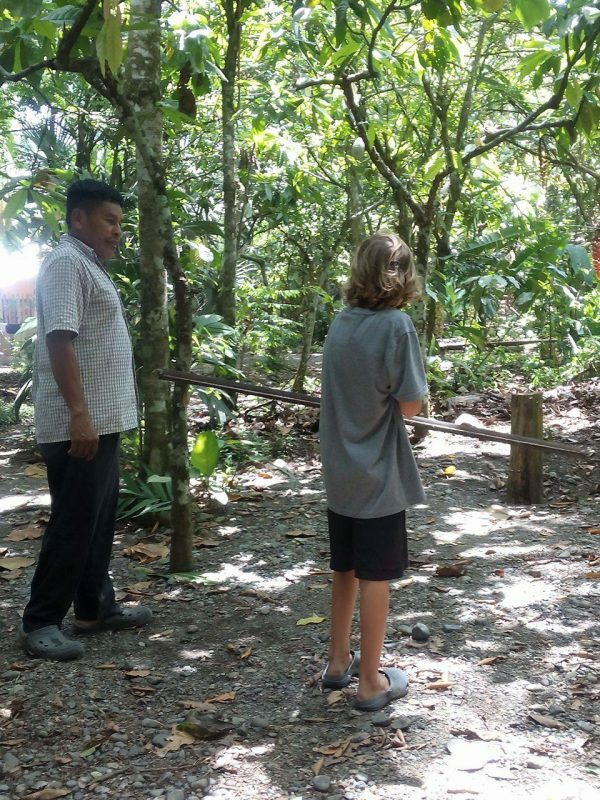 However, last week was an extra special week in that the kids were able to learn about wildlife conservation through a field trip to the Jaguar Rescue Center. 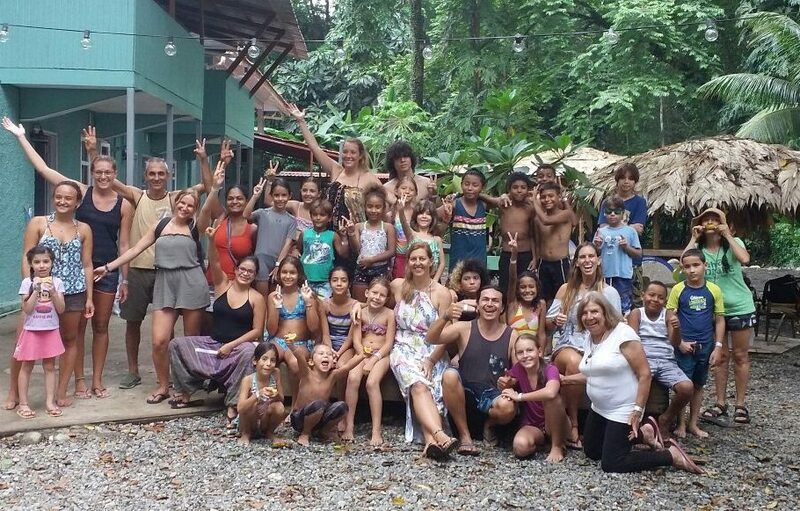 The Jaguar Rescue Center is a wildlife foundation here in Puerto Viejo, Costa Rica that works with various indigenous animals to recuperate and restore native wildlife that has been hurt or injured. 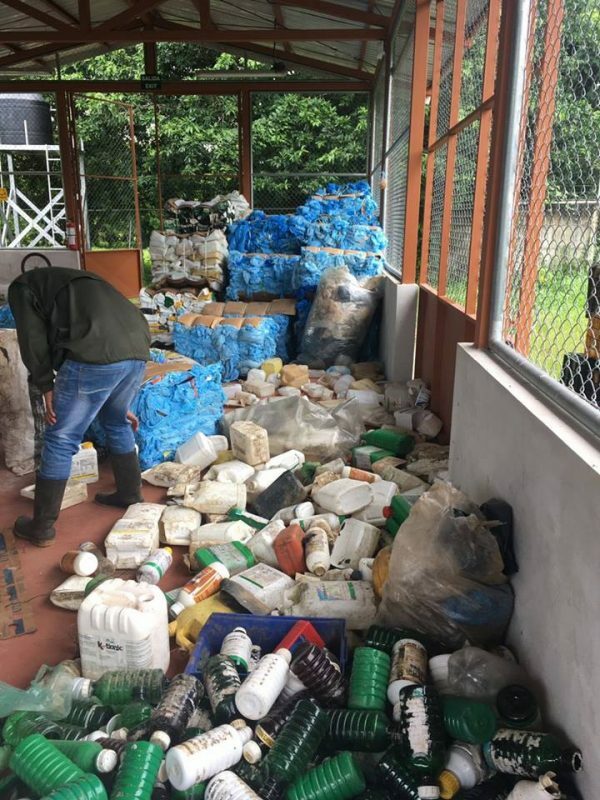 These animals would normally be left to die or would be at further risk of endangerment without the help of the rescue center. With the help of the Rescue Center’s generosity, our Kid’s Club Participants were able to take a tour of the center for no charge. The tour took us through to see animals of all kinds; big, small, fluffy and slimy; the kids were enamored. 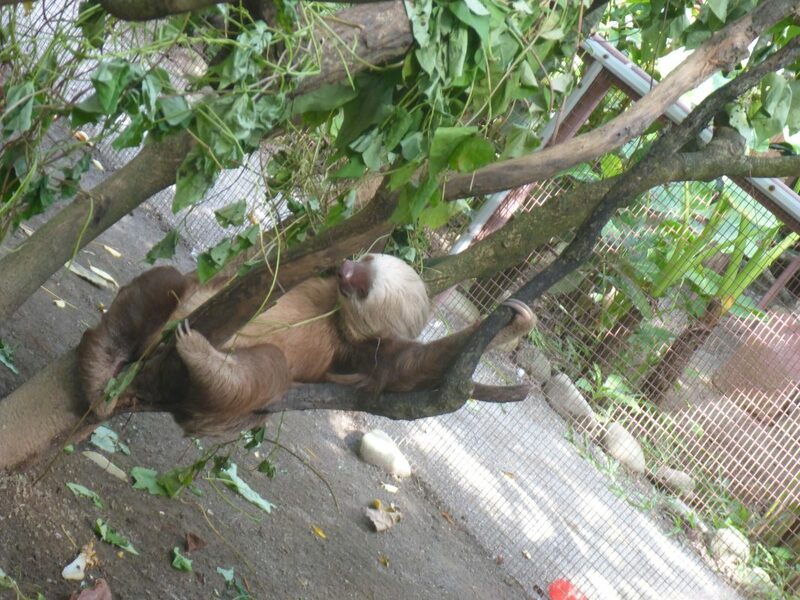 Some of the animals included orphaned sloths and monkeys, one-winged and eyed owls, whitetail deer, snakes who were being babysat for their owners, just to name a few. 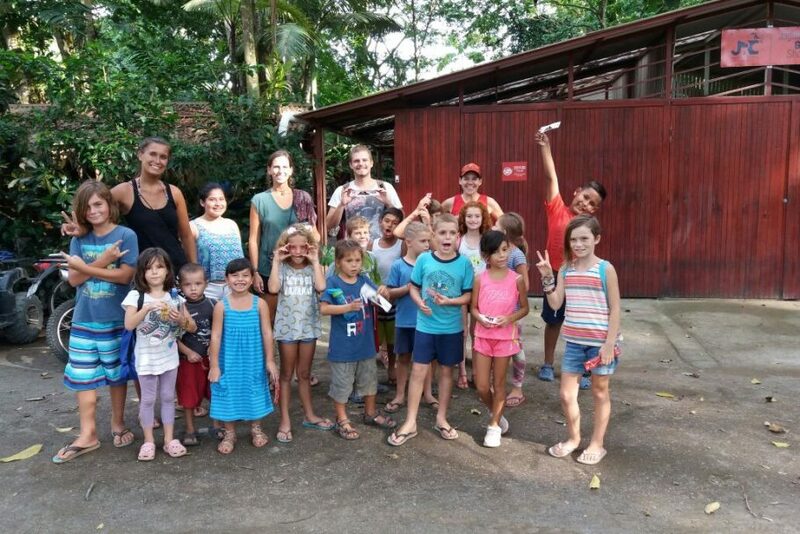 Although the conditions of these animals sound disheartening, the rescue center explained to us (in simple terms for the children) how the rehabilitation process works and the average amount of time that is taken to successfully release the animals back into the wild. While some, unfortunately, will never have the ability to return to the wild, the majority of animals there are given a second chance at life and are successfully released back into their natural habitats. 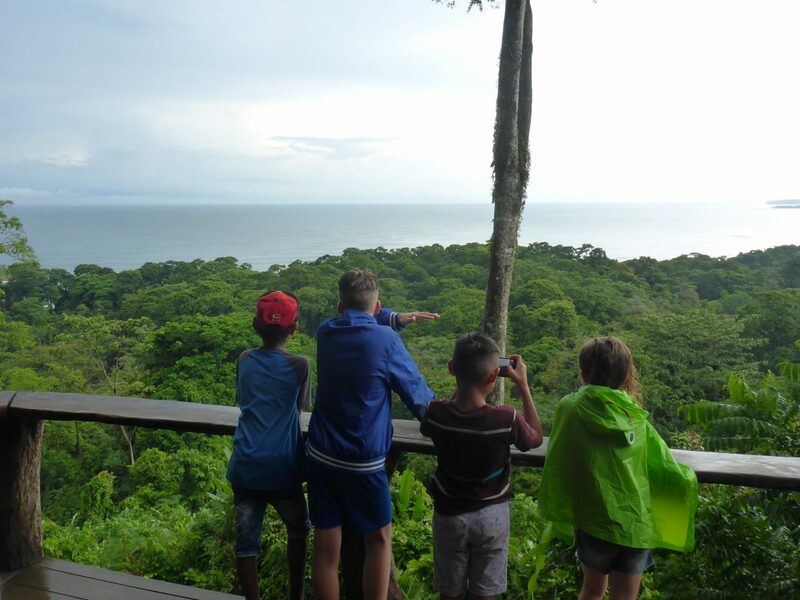 The tour seemed to have an impact on the kids who were full of questions and curiosity, and it was obvious that many of them realized the importance of conserving the biodiversity that Costa Rica holds. 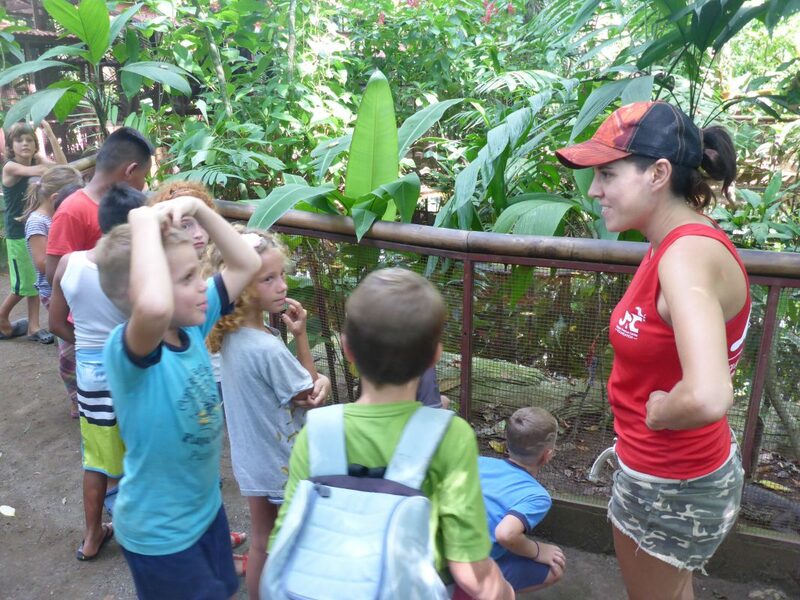 Planet Conservation gives a huge thanks to the Jaguar Rescue Center for the inspiring tour and for leaving a grand impression on our kids! If you ever find yourself in Puerto Viejo, be sure to check it out. You can find more information or donate to the cause here: Jaguar Rescue Fundation. 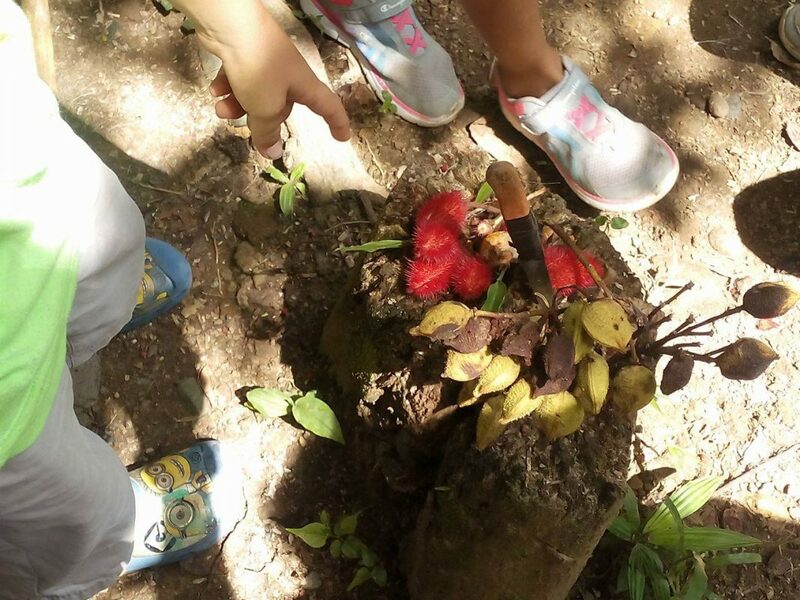 As you may have seen in our last week’s post, we have been busy with Environmental Kid’s Club recently! 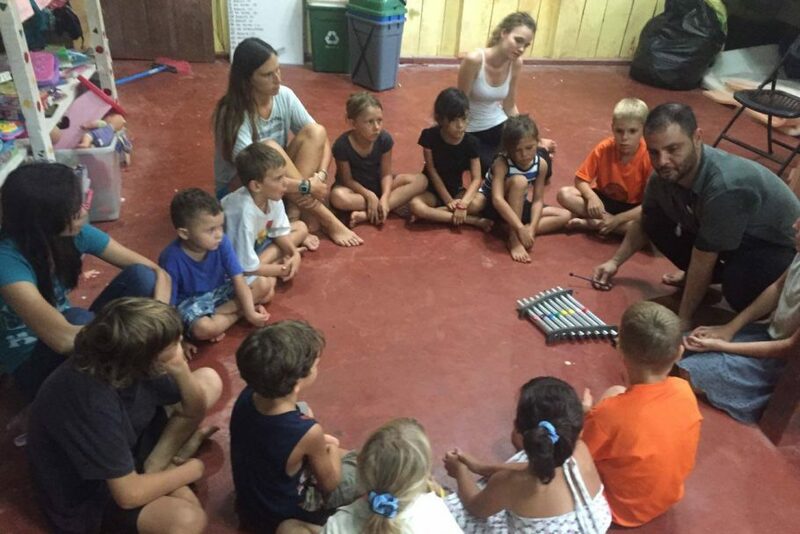 Each day at Kid’s Club, we have been trying to introduce an activity that is different, educational, and entertaining to attract more children and to encourage those who already come to keep coming. 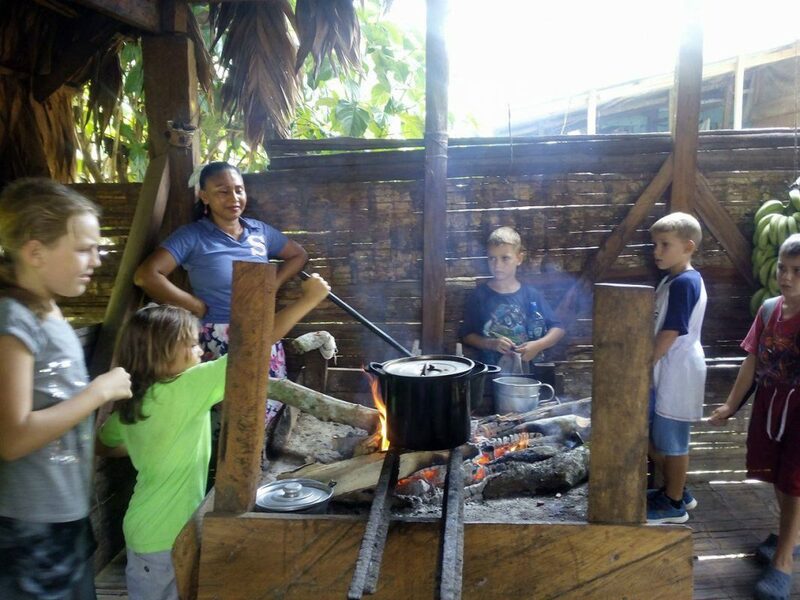 Last week, we had cooking classes, music workshops, English tutoring, agriculture projects with plant identification, and a movie night showing an informative cartoon; all the while teaching environmental education. Our volunteers also came up with some new games and activities to teach the children ways to save the planet, specifically with water conservation. 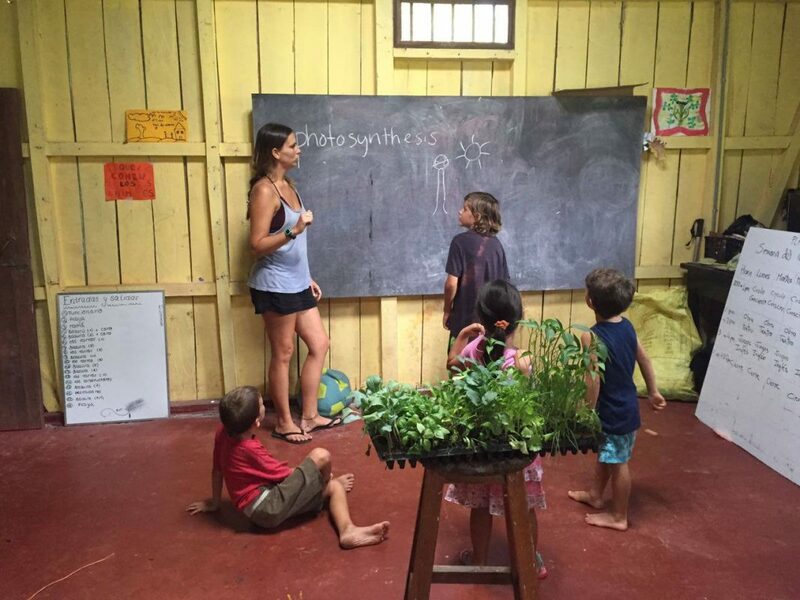 Although our focus is primarily on the environment and conservation, we also like to encourage creativity through topics that can be educational, or that can supplement what they are learning in public schools. Which, is the purpose of all of these workshops that we’ve been testing out. 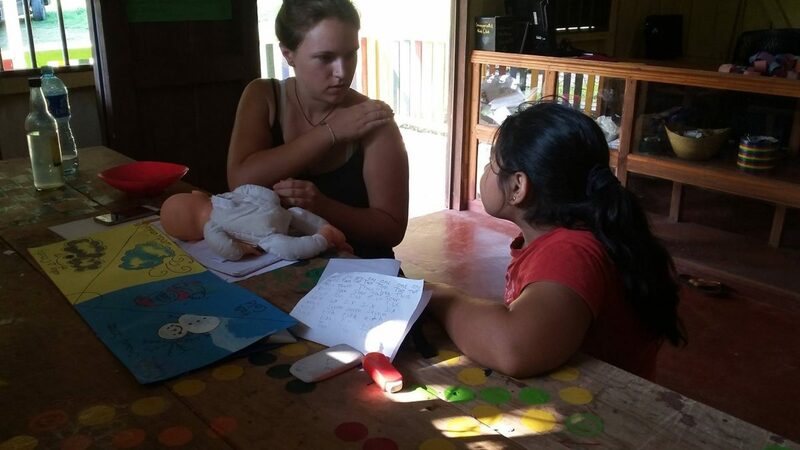 These workshops and activities, after having been fruitful with our local kids, will continue to be integrated into our daily schedule at Environmental Kid’s Club. Each week will be characterized by new topics and activities. Stay tuned for more details and activities to come! 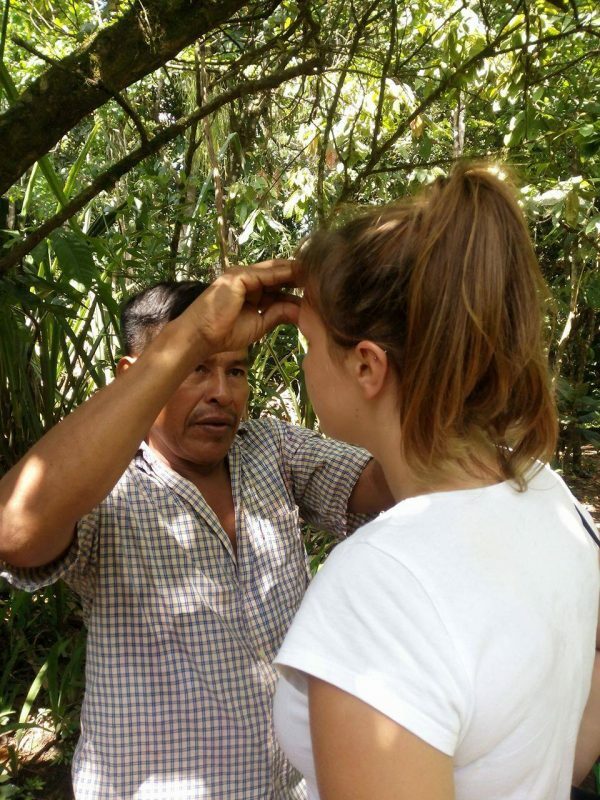 Here at Planet Conservation, we started the week off with an excursion to Bribri, a nearby indigenous reserve. 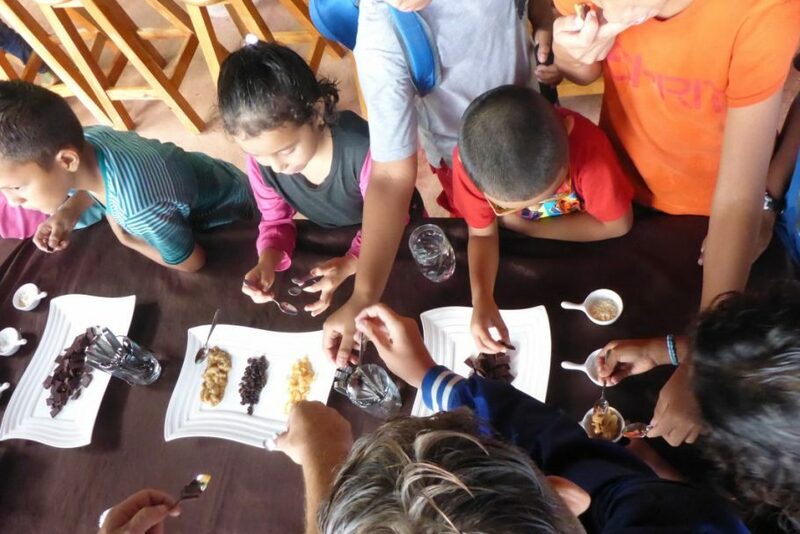 We decided to do another take on environmental education with the kids by doing a medicinal plant and cacao tour in Bribri, all in hopes of emphasizing the importance of conserving the plant species we’d be learning about. 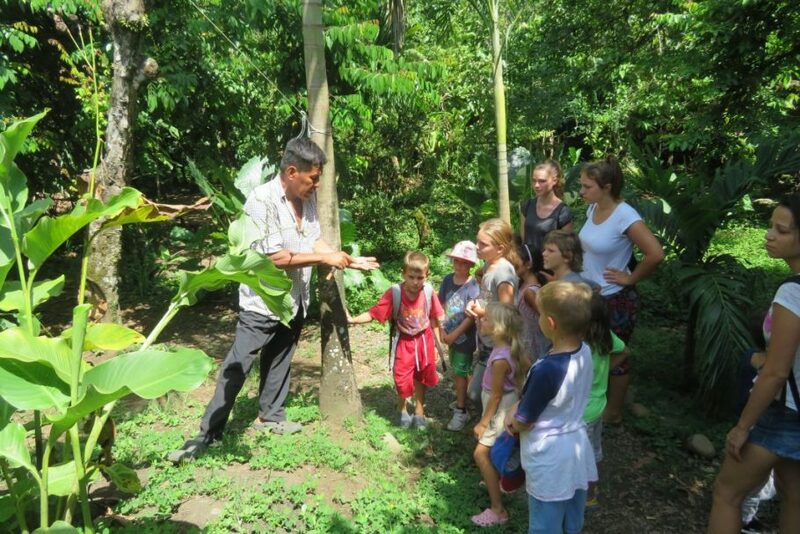 At the reserve, our tour guide took us through his small property showing us various medicinal plants and ways we can utilize different natural resources in our everyday lives. Some ways he demonstrated to use the natural environment were more practical than others in this day and age, but that’s not to say that they weren’t all remarkably informative (the kids seemed to find all of them fascinating!). Turmeric, something I was already familiar with for cooking, I learned can also be used for beauty purposes like painting nails or makeup. Achiote, another plant used for its intense and staining color, can also be used as lipstick and face paint. I can attest to their staining strength in after having been used for a natural make-up demonstration; my lips were stained bright red and my eyebrows were yellow the rest of the day (not sure that those would be my preferential colors in the future, ha!). Other than natural beautifying purposes, they both can be used for dying cloth or rope, which the indigenous still do to this day. 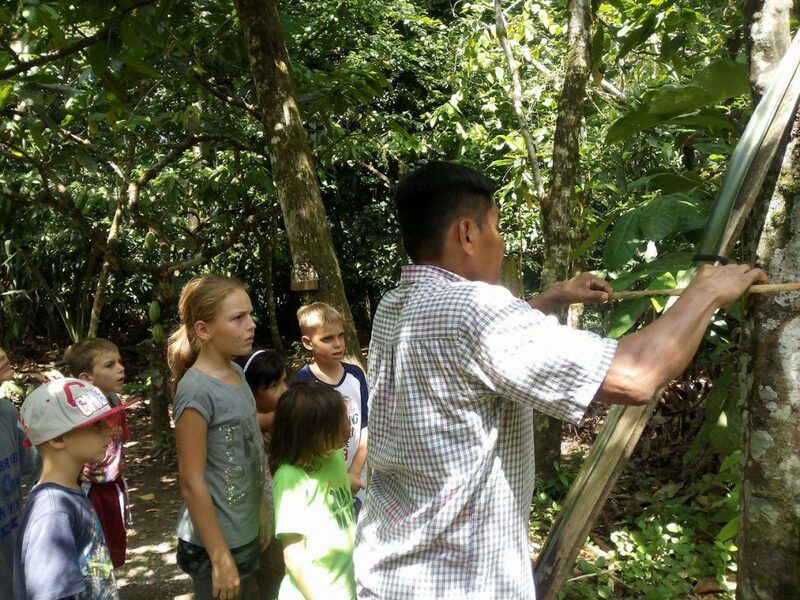 We also learned how to strip big leaves for their strong, natural string; which can be used for weaving, rope, or making hammocks that are so common here in Costa Rica. The guide also pointed out to us the natural sources for cinnamon and nutmeg, which our noses could not get enough of! 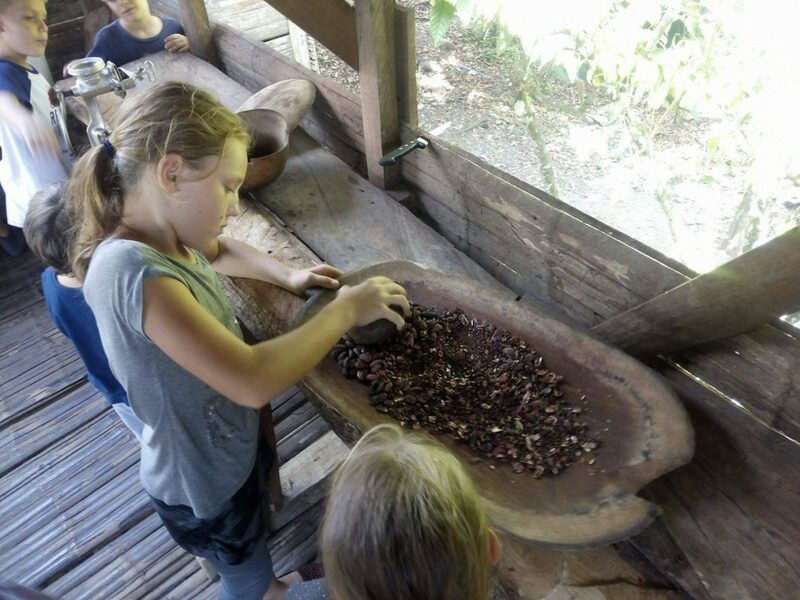 The shells for the nutmeg could also be used to make charms for necklaces, which our tour guide created a dolphin out of and later gifted it to one of the kids. 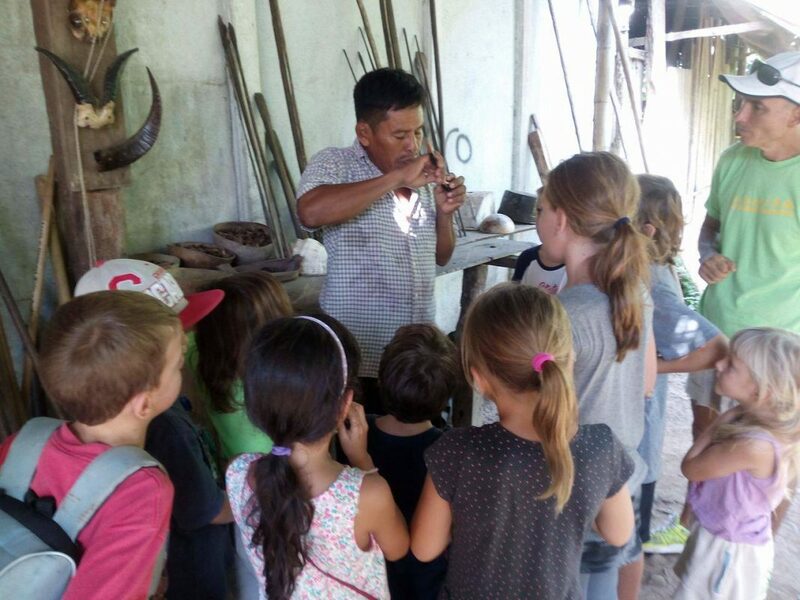 The rest of the tour was filled with other interesting activities such as trying out our hand at shooting one of their handmade (and extremely large) bow and arrows, spotting poisonous frogs, trying to make animal noises with folded leaves (We weren’t so successful!) and blowing horn sounds with the conch shell (Not so successful either!). 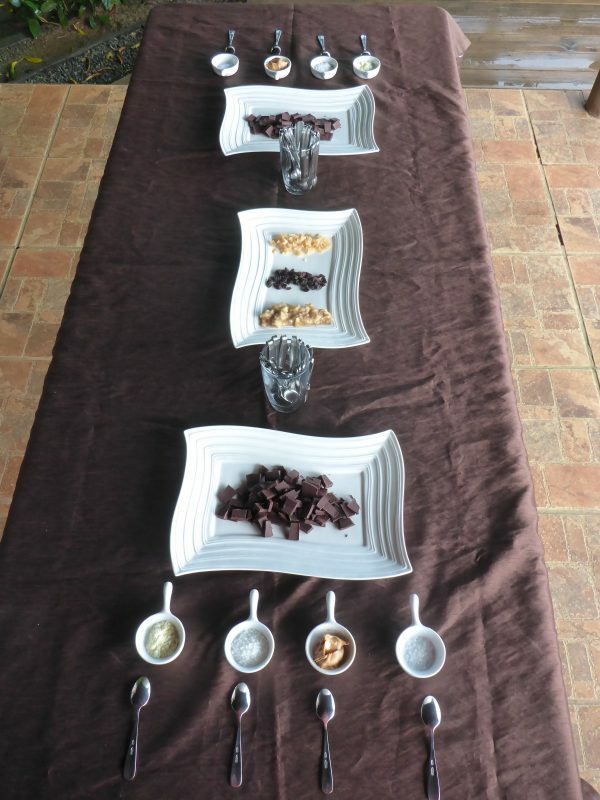 But I think the most favored part of the tour, was the part where we learned how to make chocolate from raw cacao. 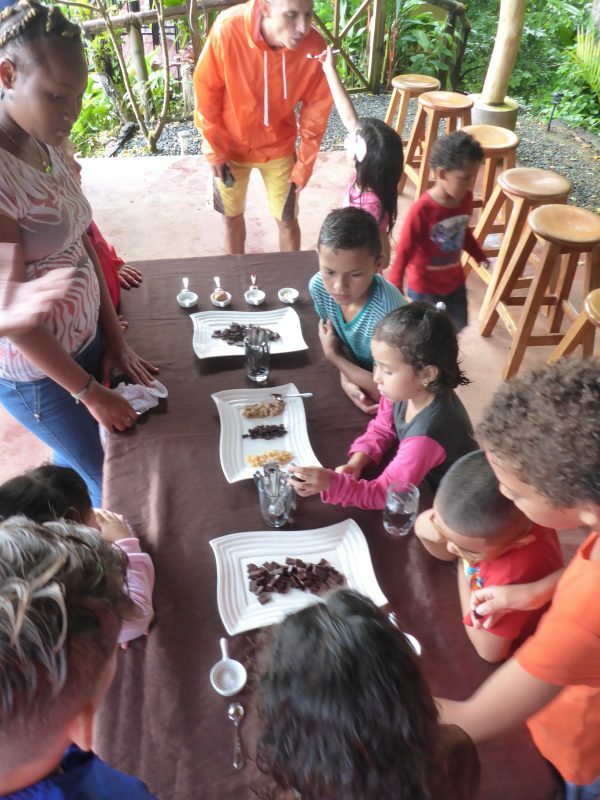 The group was taken through the whole process; spotting the tree that produces cacao, seeing how the cacao beans are dried, roasted, and ground, then melted into a pot. 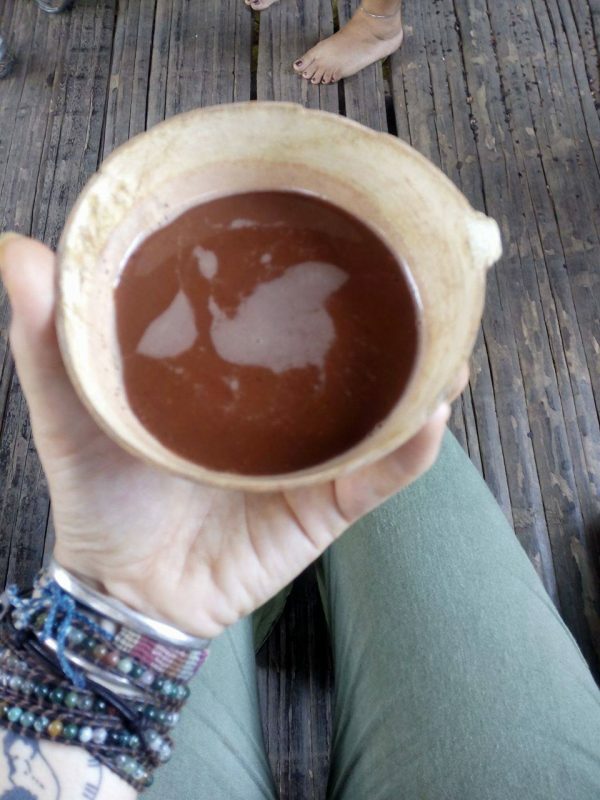 Which, in the end, we were all delighted to be able to drink our raw cacao product from our handmade cups in the hut of the indigenous. 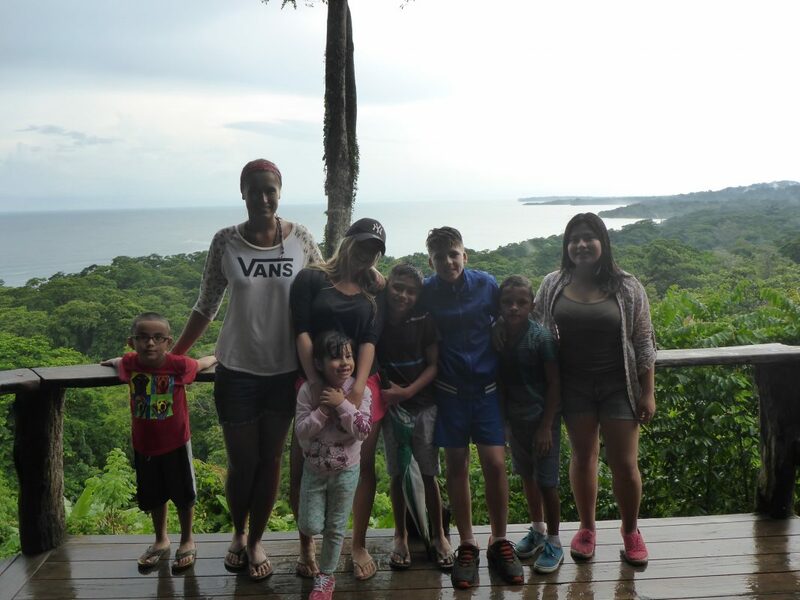 By the end of the excursion, it was easy to see that the trip was a hit among the kids, that they all really enjoyed learning about the ways and customs of the Bribri. The tour was the most perfect way to combine environmental education and fun, the way that we think learning should always be! 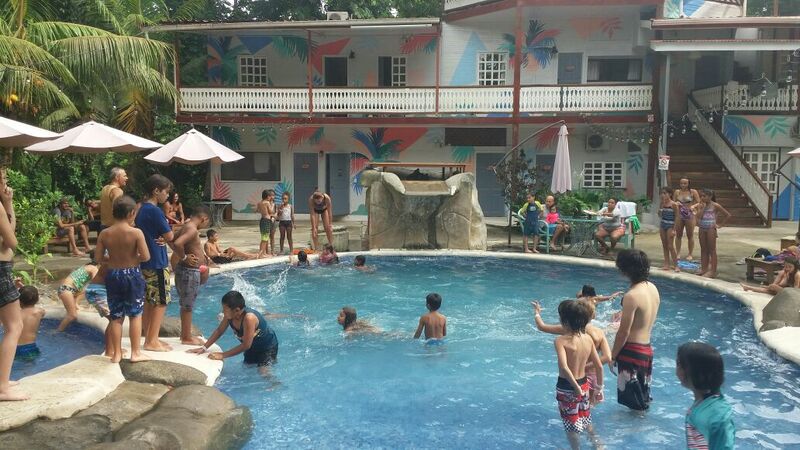 Also, big thanks and great appreciation to Le Cameleon Hotel here in Puerto Viejo, for donating lunch for the day. We wouldn’t be able to achieve the things we do without donors like them!